The party has also announced to field another sitting lawmaker Vijay Hansda from Rajmahal (ST) seat. Elections for Dumka and Rajmahal will be held on May 19, the last phase. 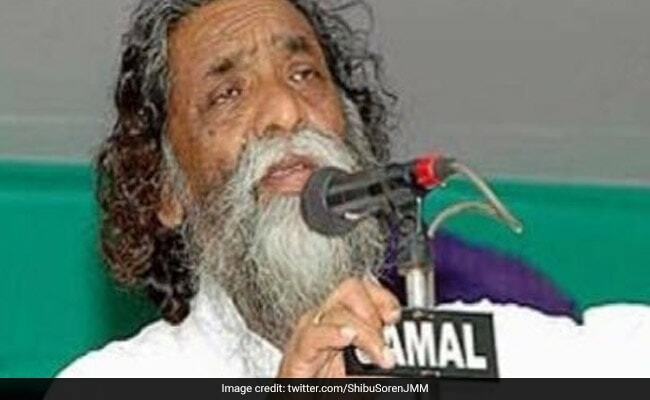 The Jharkhand Mukti Morcha (JMM) on Wednesday announced that its president and sitting MP Shibu Soren will contest again from Dumka (ST) Lok Sabha constituency. The JMM nominated lawmakers Champai Soren and Jagarnath Mahato for Jamshedpur and Giridih Lok Sabha seats respectively, party general secretary Supriyo Bhattacharya told reporters in Ranchi. These two seats would go to polls on May 12. The party has got four out of the 14 constituencies as per the seat sharing formula among the Mahagathbandhan allies in Jharkhand. The JMM also announced that it would contest Lok Sabha elections in 10 seats of West Bengal, four constituencies of Bihar and five seats of Odisha. Mr Bhattacharya also declared names of the candidates of the seats in these three states.